The Veterans Affairs Department on Thursday fired a senior executive in charge of the department’s health care system in Pittsburgh, making her the fourth top career official to leave the VA since August. Terry Gerigk Wolf, who served as director of the VA’s Pittsburgh Healthcare System for seven years, was removed for “conduct unbecoming of a senior executive and wasteful spending.” Six veterans died and 16 others became ill from an outbreak in 2011 and 2012 of Legionnaires’ disease in Pittsburgh. Wolf was placed on paid administrative leave in June pending an investigation by VA’s new Office of Accountability Review. “This removal action underscores VA’s commitment to hold leaders accountable and get veterans the care they need,” the department said in a statement. Dr. David Macpherson was named acting director of the Pittsburgh Veterans Healthcare system while the department looks for a new director. Since Aug. 7, when President Obama signed the 2014 Veterans Access, Choice and Accountability Act, two senior executives have been removed under the new law’s provisions making it easier to fire top career officials. Two others retired before they could be fired by the department. But several lawmakers have criticized the department for dragging its feet to fire employees involved in the VA scandal related to data manipulation and excessive delays in scheduling doctors’ appointments for veterans. The new law allows the department to fire and demote Senior Executive Service employees immediately, with paychecks getting cut off the day of the termination. The affected executive would then have seven days to issue an appeal to the Merit Systems Protection Board, which in turn would have 21 days for an expedited adjudication. MSPB’s ruling would be final. However, the department currently is giving affected employees five days’ notice of removal, which some Republicans at a House Veterans’ Affairs Committee hearing on Thursday said amounts to another appeals period. “These questionable actions are nowhere to be found in the law that we wrote and the president signed,” said Chairman Jeff Miller, R-Fla., to VA Deputy Secretary Sloan Gibson during the hearing. 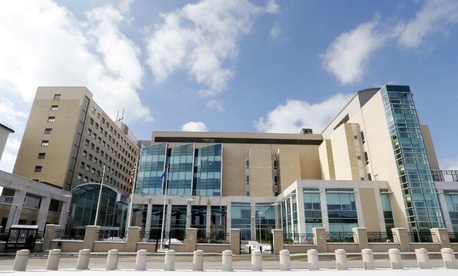 Approximately 1,000 employees are under review for possible removal related to poor performance, but not necessarily connected to the data manipulation scandal or the outbreak of Legionnaires’ disease in Pittsburgh.